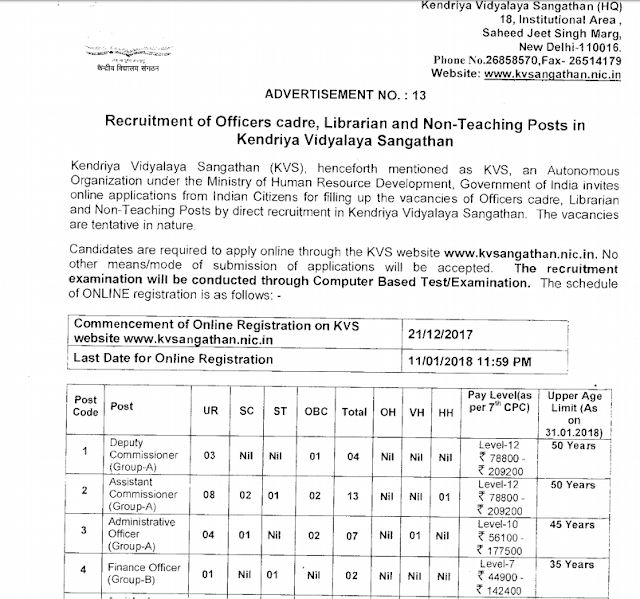 KVS Recruitment for Non Teaching Post - Get here Detail Notification fro KVS Non teaching Post Recruitment 2017 and more details. 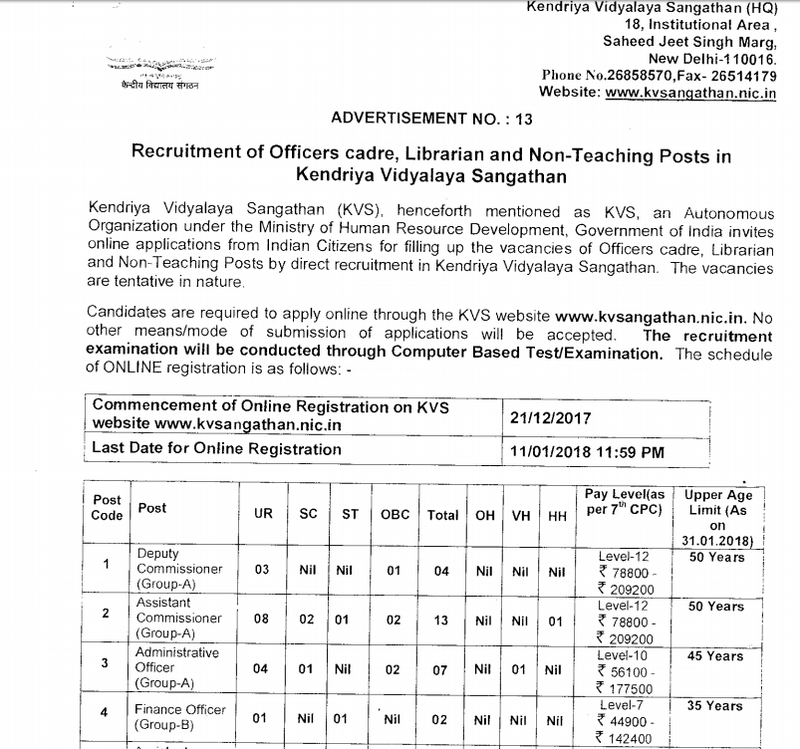 KVS Kendriya Vidayalaya Recruitment 2017-18 for non-teaching staff : as per official notification total 1017 Vacancies for Various Non-Teaching Posts like LDC, AO, UDC, Finance Officer, Assistant Engineer, Stenographer, Hindi Translator and many more, for more detail check official notification PDF link given below. Total Number of 1017 Post as per notification.